If we asked you right now what you think would happen if we filled your car tires up with water, what would your response be? You don’t have to worry about us actually doing it… we know you spent your hard earned dollars on your car, and we couldn’t even find your car if we tried. Lucky for us, this question was brought up by a group of friends – and they know a thing or two about cars. 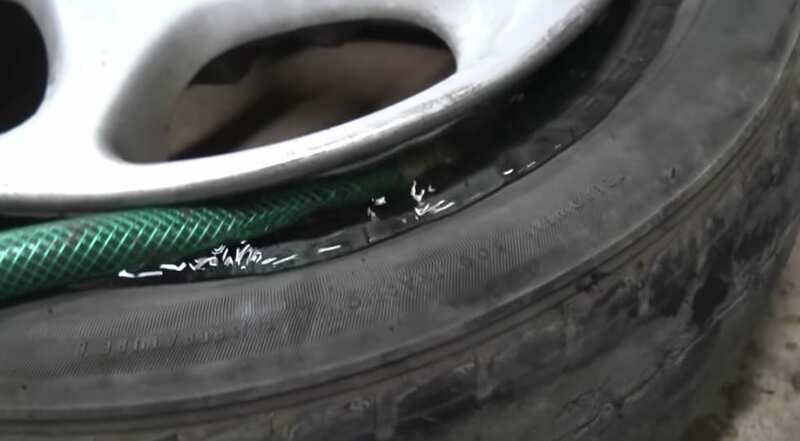 They reasoned that putting water in car tires might actually work, and they decided to actually follow through with the experiment. How many times have you rolled the dice on something you weren’t sure would give you perfect results? How many times have you taken a chance on something outside of your comfort zone? How many times have you taken a huge risk for the potential greater good? It’s one thing to talk about doing something crazy, and another to actually go out and do it. This group of friends wanted to not only back up their big talk with some serious action, but also videotape the whole thing. And the results took them for a pretty bumpy ride. Without wasting any time, the adventurous group of boys decided to jump right into their experiment. Before they could actually do it, though, they needed a car that they could work with. 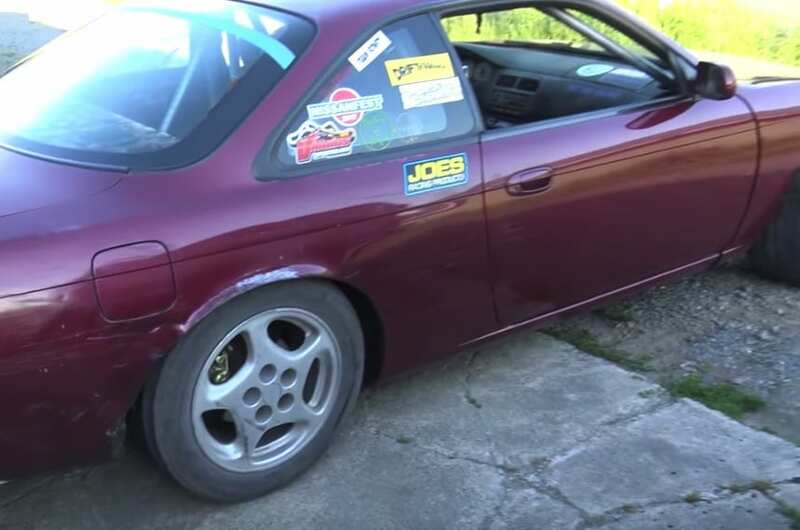 The car they chose was Nissan 240SX, and something tells us they didn’t care much about it, because otherwise they wouldn’t be risking its well being for the sake of a dangerous, albeit very interesting, experiment. “Here is our test subject,” the cameraman said, not sounding worried at all. So they did all the necessary work for changing a tire. 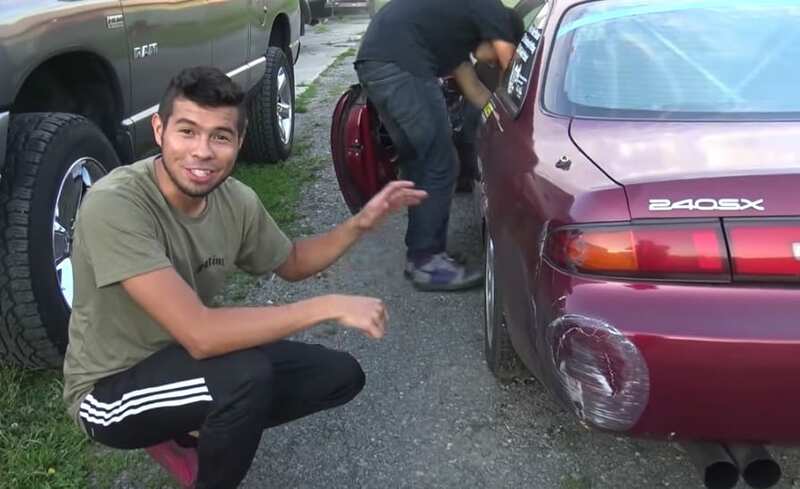 Only instead of switching a tire, their plan was obviously to alter a tire that was already on the car. 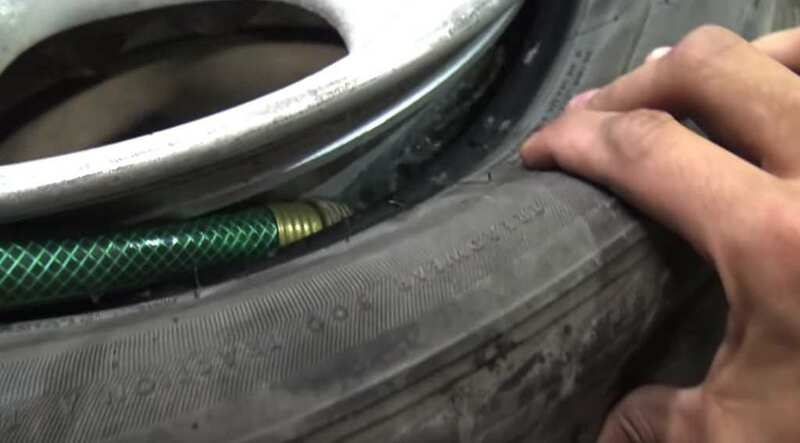 They retrieved a hose and stuck in inside the tire, narrating the process as they did it. They later said that the trick is to “find that perfect spot to shove it so that the tire holds it in place. It wasn’t the easiest task for them to do, but they eventually found that spot. Once the hose was locked and loaded, they said, “That looks good to go.” The time had now come for them to start filling the tire up with water. They turned the hose on, and they immediately heard that soft stream of water producing a solid flow into the tire. They also happily acknowledged that the water wasn’t leaking out the other side. “It’s working,” the cameraman said, with subtle excitement in his voice. “We’re gonna see if this is gonna work. Can you drive a car on tires full of water?” This was obviously a daring idea to try out, but it seems they were really carrying out their vision. There was a ringleader of this bunch, and he was clearly determined to make sure everything went right. Finally, the water started overflowing out of the tires, and it was actually kind of hard for them to remove the hose from the tire after the water pressure had gotten to be so high. The water was in the tire, but now it was time to reseal it up. According to the cameraman, this would be “the interesting part.” But the real interesting part was what happened after they finished resealing it. Right afterward, they tried to pick it up, and were astonished by how heavy it was. They probably assumed it would be a lot heavier that it had been before, but they were still a bit taken aback by it. The time had come to put the tire onto the car. After all of that preparation, this was the moment of truth. They carried picked up the water-filled heavy tire, and started putting it back onto the car. “I wonder what’s gonna happen when we lower it down,” one said. 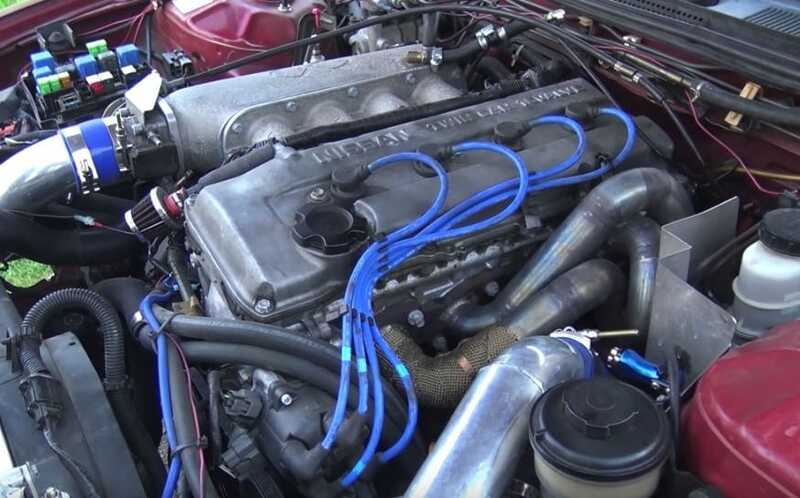 Another said, “Do you think it’s gonna leak out everywhere?” Another friend of theirs told them to “have faith.” It was time to lower the car, before they could officially drive it. “Any predictions before we drop it?,” asked the videographer. One of them said that “it will work fine.” One of them was nervous, and suggested that they bring it down slow. 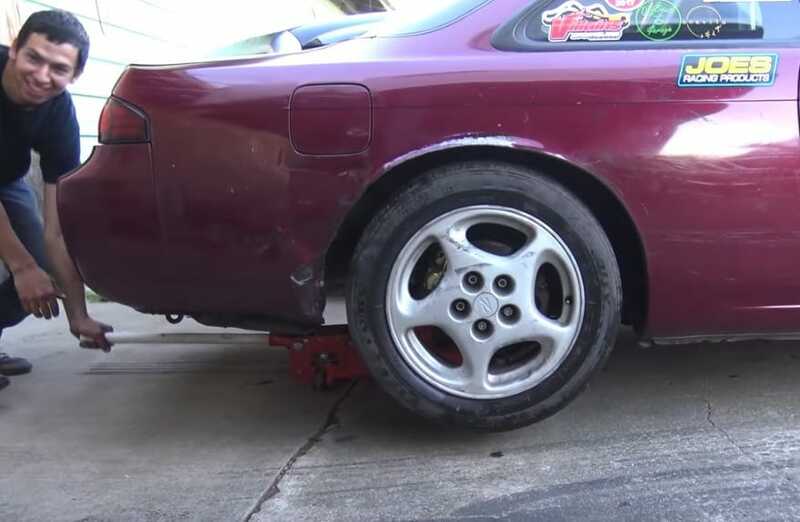 But when they released the car and lowered it abruptly to the ground, they found that the tires were super strong. They didn’t explode as some of them predicted. So they hopped into the car and started driving. After about seven or eight seconds, one of them said to the other, “Dude, I don’t even feel it.” The other responded, “You don’t feel it? I was just about to say, it doesn’t feel any different.” That being said, there was something about the drive that felt a little bit off. They both acknowledged that there was a “little bit more weight” in the drive. And this was only the beginning of their discoveries. After acknowledging that the tire felt kind of heavy, it still felt kind of off-balanced. After all, they had only filled up one tire with water, and they felt that there was a hole that needed to be filled drastically. “I want to do the other one,” the driver said. They had already done one of the back tires, and they figured it would only be appropriate to do the other one. “Let’s go do the other one,” agreed the guy in the passenger seat. But before heading back to the garage to fill up yet another tire with water, the driver had another idea. 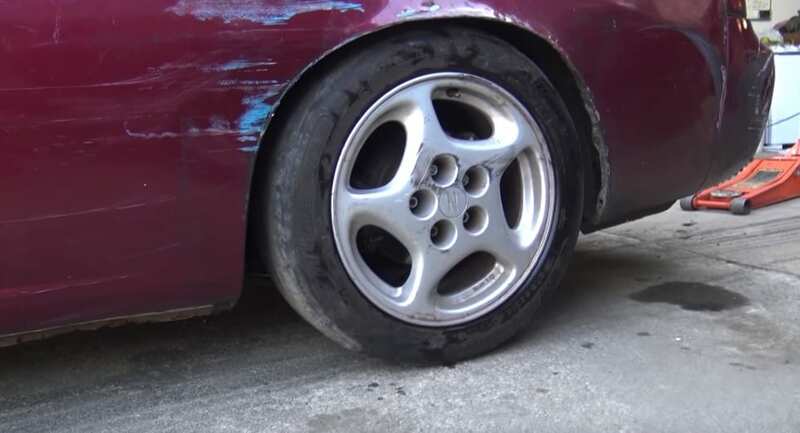 As long as they were in the car with one water-filled tire, he wanted to see how it reacted to a car driving really fast. Up until that point, they were driving pretty slowly – and it was time to really push it to its brink. So the driver revved the engine, and started picking up some speed. Or at least… that was his intention at first. One they started sailing out into the open road, it became a lot more clear that the tire had been filled with water. 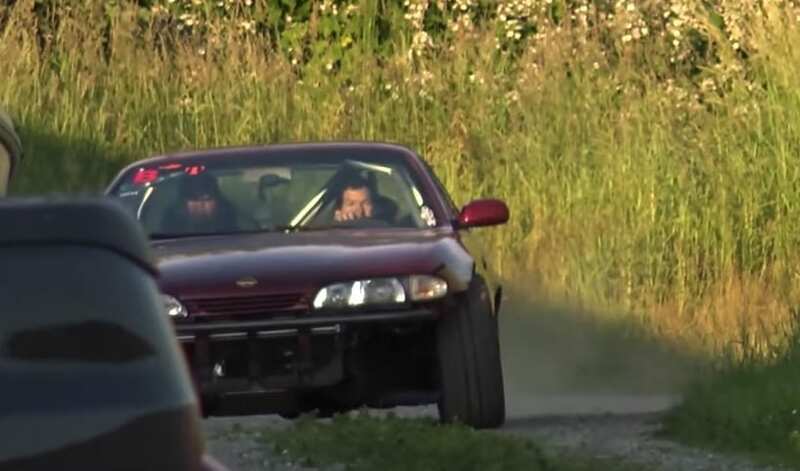 They immediately realized that the water in the tires was actually making the car a lot slower. 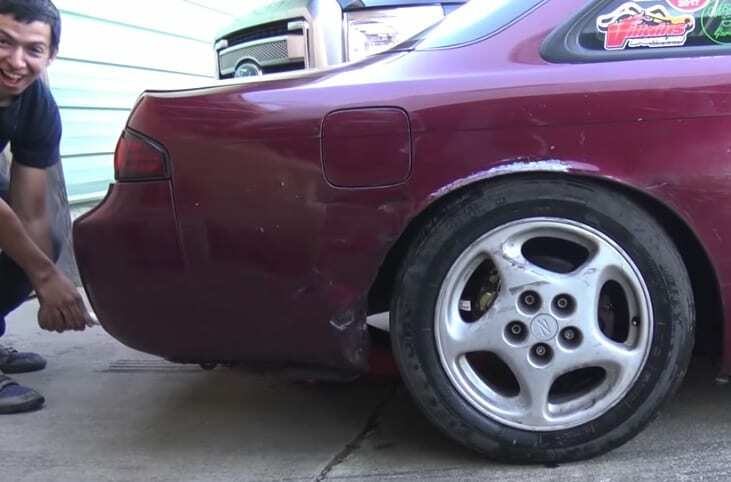 After that, the car made a strange noise, which led the passenger to say, “That didn’t feel too good.” But even though they found that the water was doing weird things to the car, they still wanted to go through with adding another one. To be fair, they had a pretty solid argument. They reasoned that the only reason the driving felt weird was because the water-tire was only on one side. “If we evened it out, I wouldn’t notice it,” said the driver. 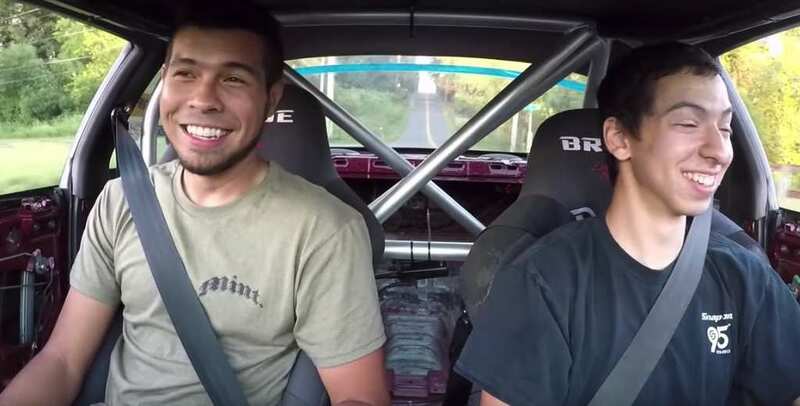 This prediction got them both pumped, so the guy in the passenger seat said once again, “Let’s go even it out!,” and they set out on their way. They also had a number of other plans up their sleeve regarding what they wanted to do to the car. They once more got to work, going through the same process that they went through the first time to add water to the tire. 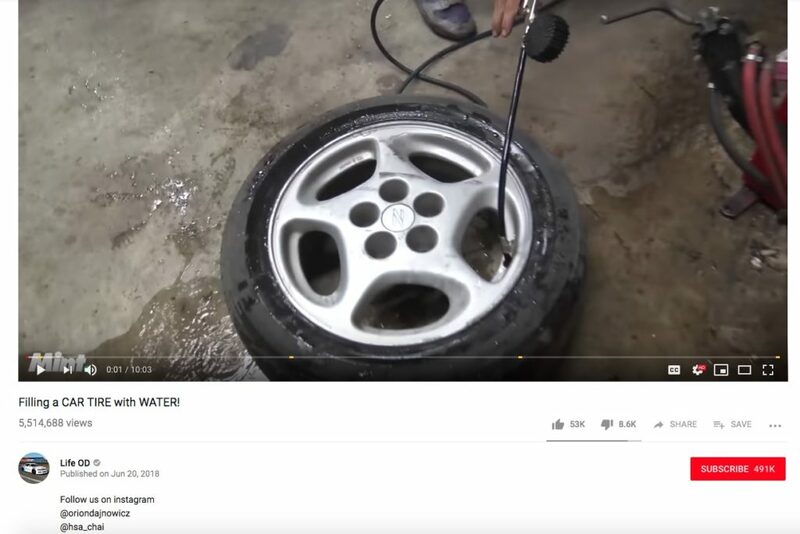 Once again, they overflowed the tire with water just the perfect amount. And once again, they appreciated the overwhelming heaviness of the tire, and didn’t waste any time popping it the other side of the car. At this point, the two back tires were now tightly filled with water. 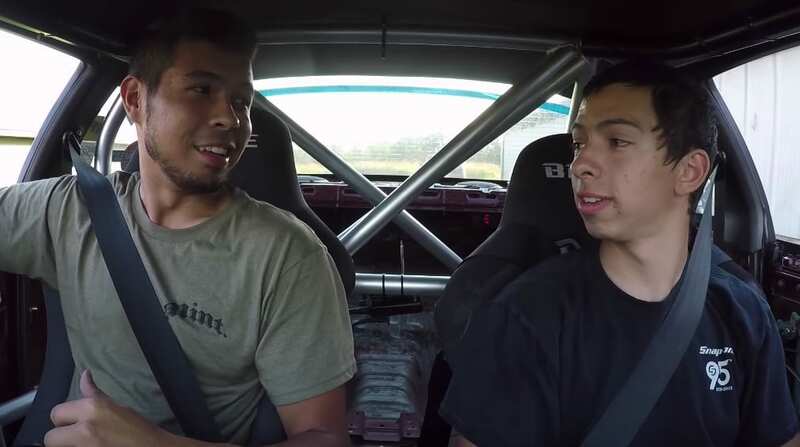 Here were a few of their immediate takeaways upon driving it. “The ride quality feels good,” said the passenger. The driver said, “It feels fine, but it definitely feels lower.” These thoughts were interesting, but nothing too different than the ones they had made earlier. The time had come to really take things to the next level, and push the tires to their ultimate peak. The next test on their docket was what is commonly referred to as a “burnout.” It’s what happens when a driver keeps the car stationary while still keeping his foot on the gas. 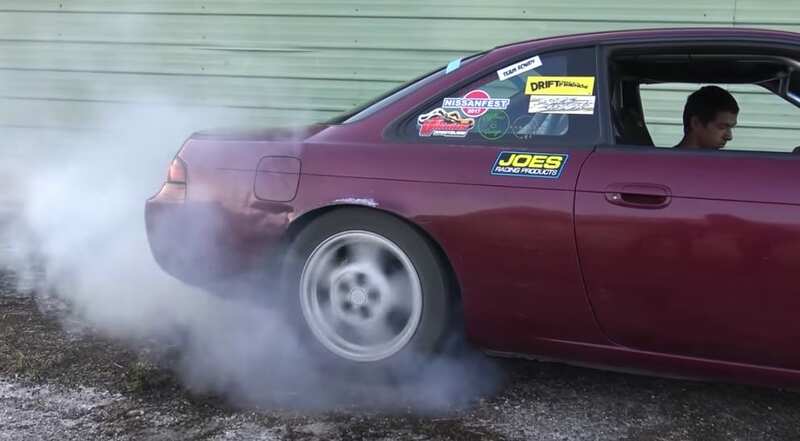 The idea is to raise the temperature of the wheels, which is something that drag racers sometimes do to make for better performance. 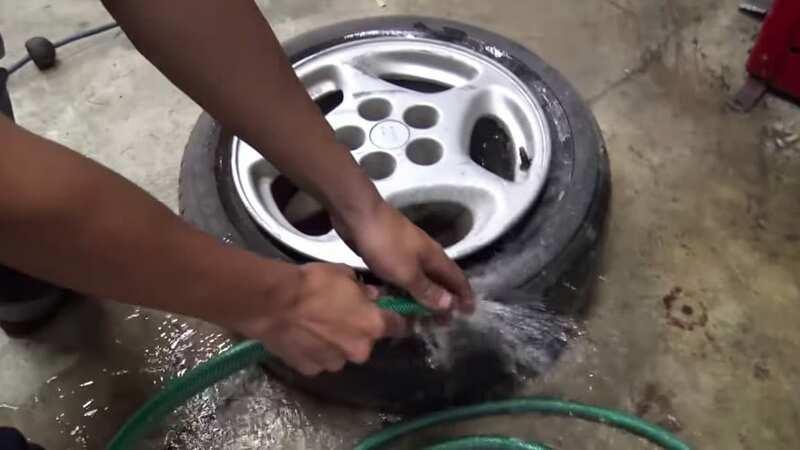 Doing this with tires filled with water is obviously a questionable choice, but they figured it was the best way to really see what the new wheels were made of. They dove right into it, pushing the gas while the old Nissan remained in place. As you can see, the wheels were spinning awfully fast, and the smoke was beginning to rise. The driver did this for a number of minutes, and the smoke got bigger and bigger. Finally, he took his foot off the gas, and discussed the results with his friend. Although what they did seems pretty dangerous, the conclusions they came to were actually more on the optimistic side. “Dude! I think the water is literally preserving the tires.” Contrary to what you might think, the young men obviously felt that there was something positive that the water was providing for the tires. 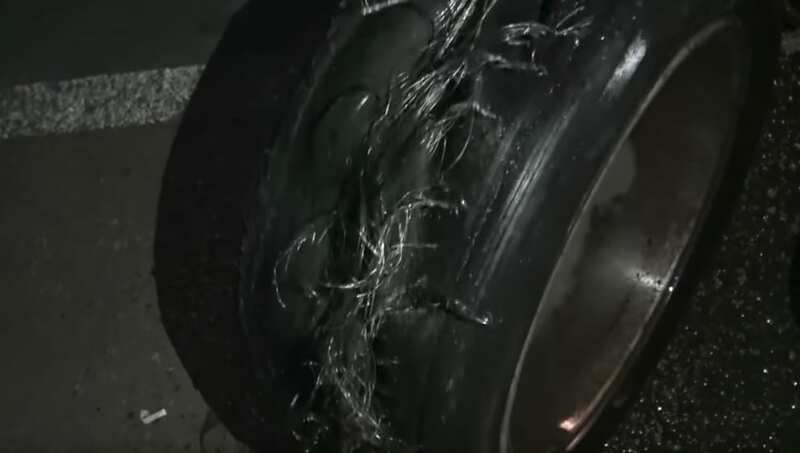 “So we’ve potentially discovered that if you fill your tires with water, they last way longer when you do burnouts.” This is a huge deal when you consider that they probably never expected the “water in tires” experiment to provide any real lucrative results. However, there was a strong distinction that they made. 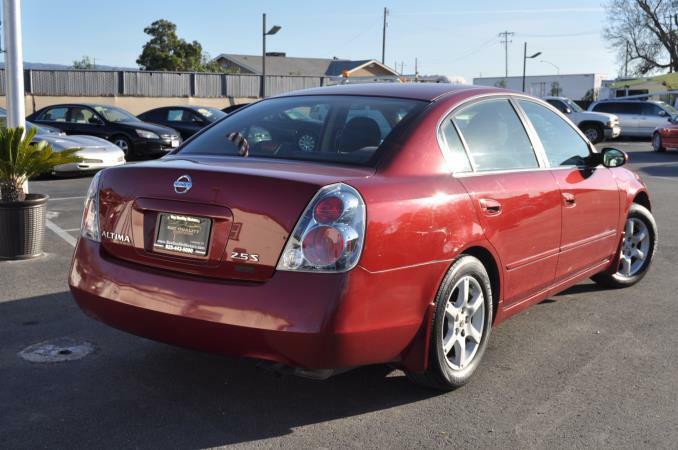 “The tire constant successful, this unsuccessful.” He was referring to the KA engine that resided in the Nissan. “The KA just couldn’t handle the extra weight. 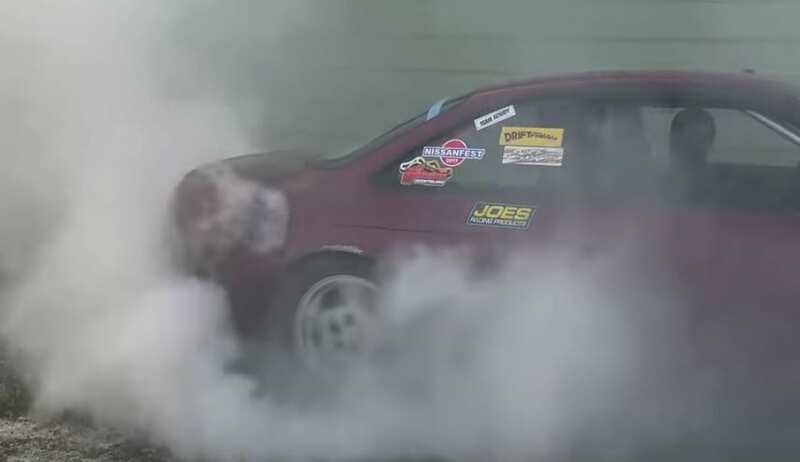 I think the lesson to be learned here is that if you fill your tires with water, you basically have unlimited burnouts.” Of course, this particular brand of success doesn’t mean that it’s necessarily good for your car, or your engine. Later that night, they added water to the tire of their friend’s car as well, and discovered even wilder results. After doing the same burnout technique, they finally reached the breaking point. The tire popped, and a leakage of water started to gush out of the tire. It had practically exploded, and all around it was a giant puddle of water. 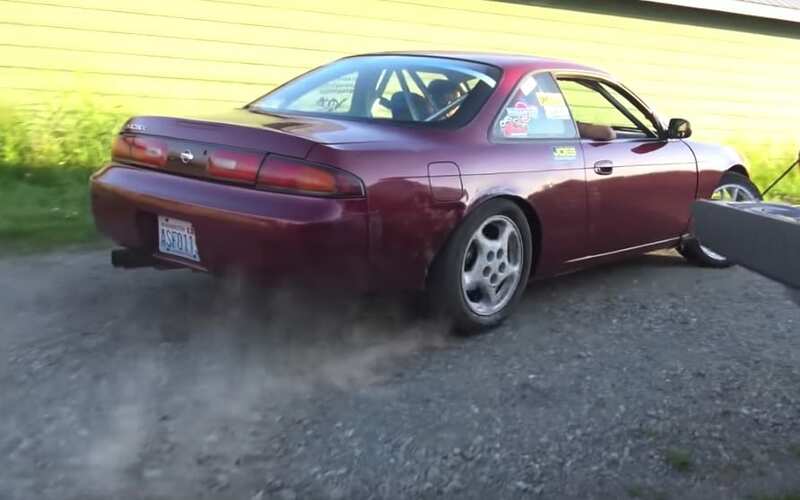 Contrary to what was said before, perhaps water-filled tires don’t exactly have unlimited burnouts, do they? Would a different car make a difference? 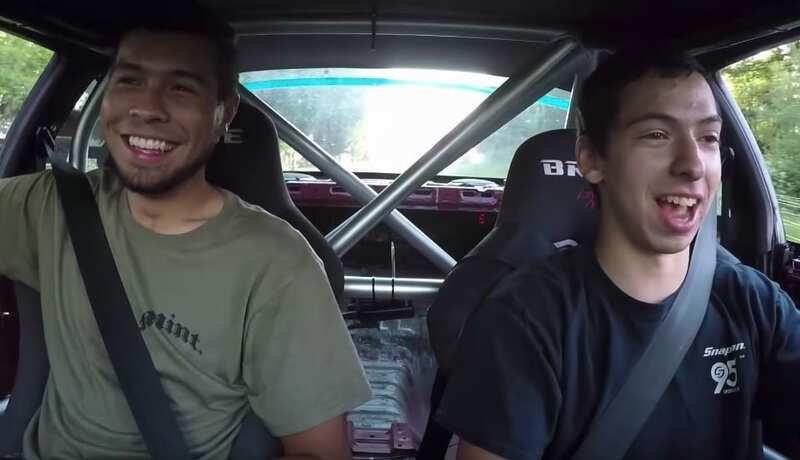 We know that these guys decided to test their experience using their car, a Nissan 240SX, but what if they had used a different car? Any good scientist knows that if you’re going to test out a theory you have to test it out multiple times in a variety of ways to get the best results. What if these guys had used a Hummer or a Toyota truck? 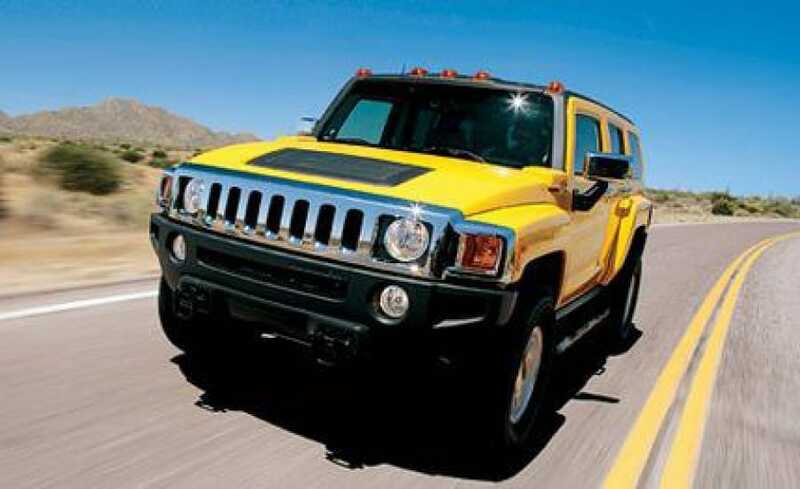 Perhaps a sturdier and larger car would have been able to go faster with the heavier wheels. This experiment isn’t something these guys just thought of on a whim, it’s something that people have been asking on the internet for a while. On sites like Reddit and Quora people have posed the question wondering if tires could indeed be filled with water instead of air. Many people have attempted to answer the question with their own theories, usually backed by what they know about science and cars. However, it wasn’t until this experiment that we got hard proof on what would happen. Many of the internet theorists believed that putting water in tires would definitely be successful. Some even believed that it could be a better option than air, but others disagreed. 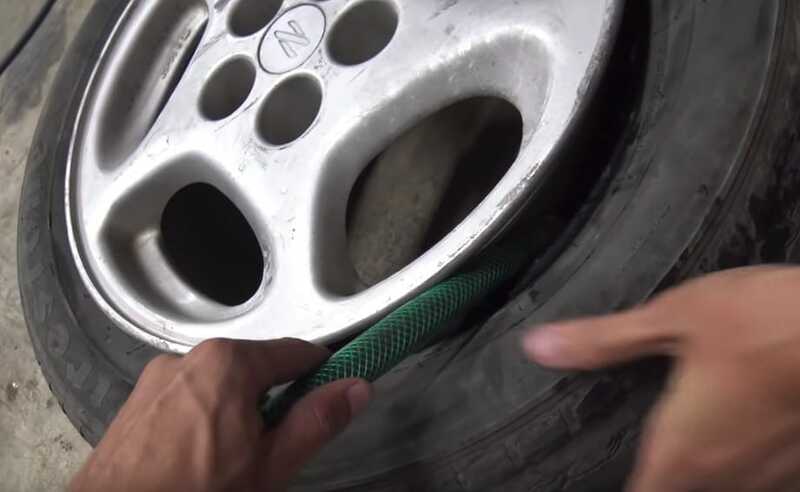 The reality, as we now know, is that putting water in tires does really work, and it can even make your tires sturdier. But it’s also worth noting that their experiment did have some drawbacks, like the effect driving with water tires had on the car engine. 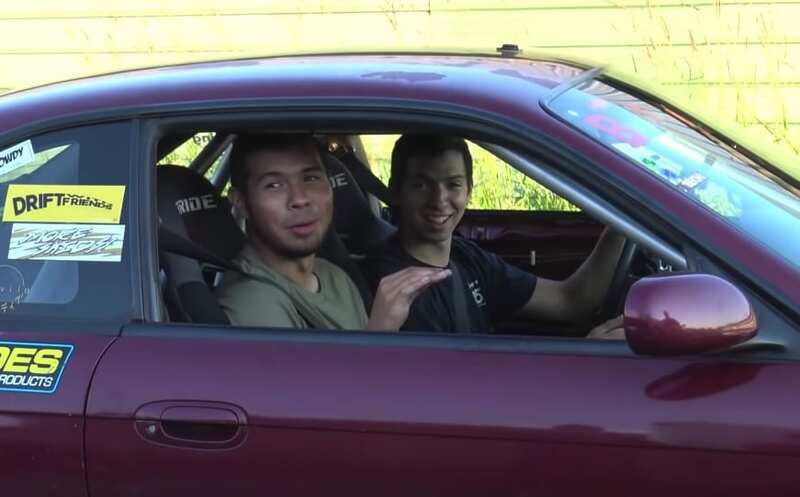 When these guys decided to answer a question that has plagued car enthusiasts and scientists they never could have expected it would reach so many people. The YouTube video on the Life OD channel ended up being shared wildly all over the internet. So far it has received over 5.5 million views, and that’s just after a few months. It has also ended up on other online publications such as Drive Mag amongst others. People were excited to see what the Life OD guys would come up, and some had pretty high expectations. The guys tried their best to keep it interesting, and millions of people tuned in to see what they came up with. However, some car enthusiasts felt that the end result was not as promising as they thought it would be. For some, it seemed like final result was a bit anticlimactic, and they wished there had been more going on with the tires. Some people believe that despite this initial experiment with filling tires with water, there could be some practical applications. 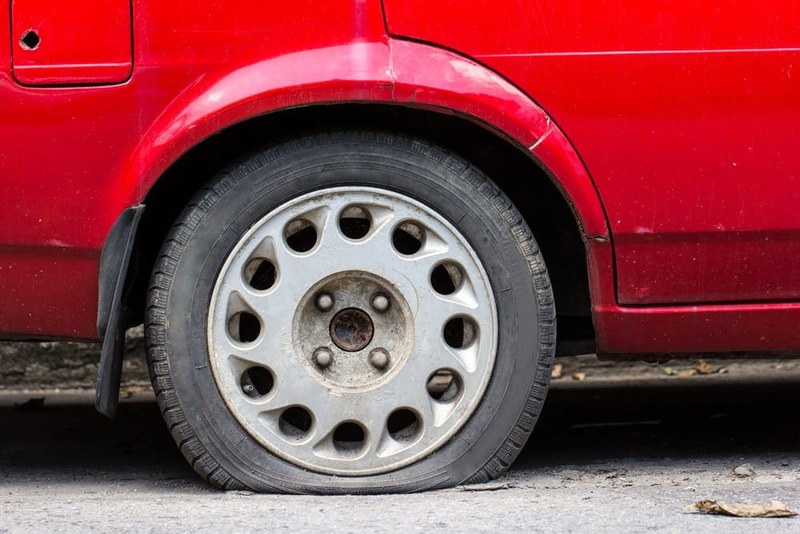 For example, tires can be very vulnerable to getting punctured, and if they do while you’re driving you could find yourself in a dangerous situation on the road when your tire blows out. Some researchers believe that using water could help make some tires stronger and more impervious to punctures. But for now, most people will stick with air. 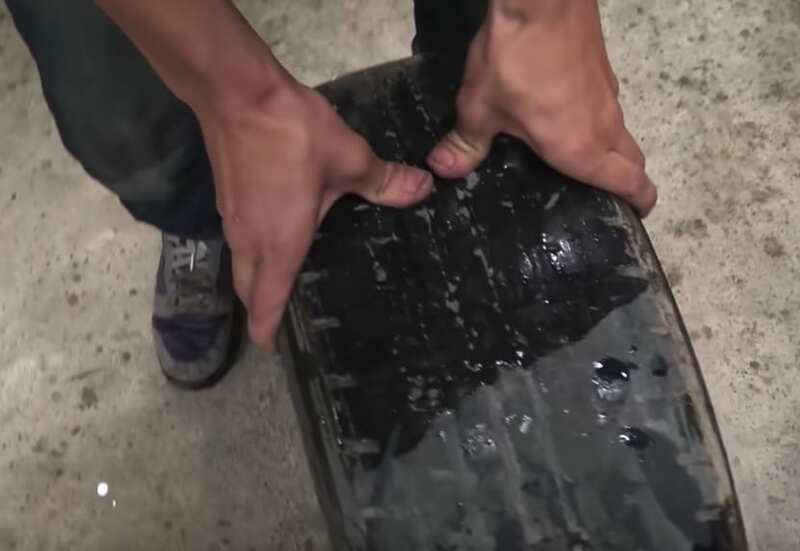 If experts can do more research on driving cars with water filled tires there is a lot of potential for a new industry in the car world to emerge. Instead of places at gas stations to fill tires with air, perhaps there would also be a place with a hose for water as well. 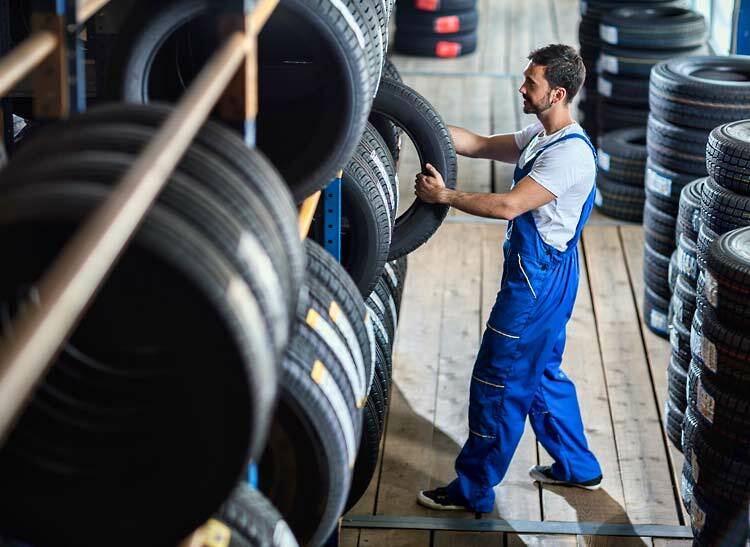 On top of that, it could be possible that car dealerships will begin offering special tires that work even better with water, or special deals for cars that come with them. The possibilities are endless. 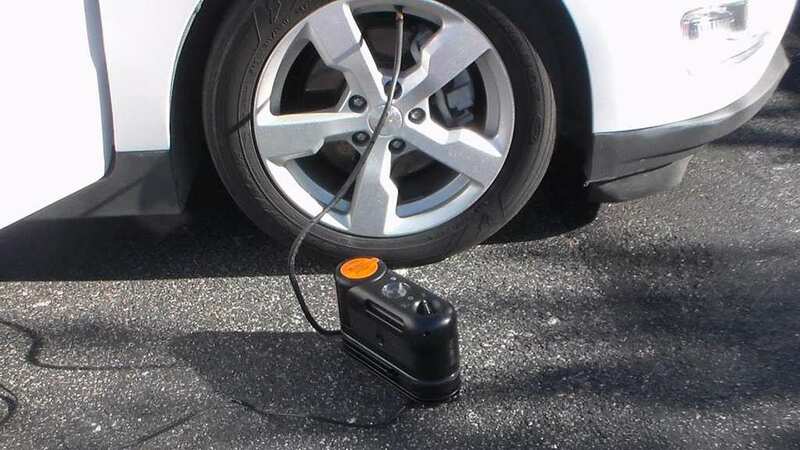 If you’re not someone who is super familiar with cars than you might not be aware that there is actually an alternative to regular air in the tires. 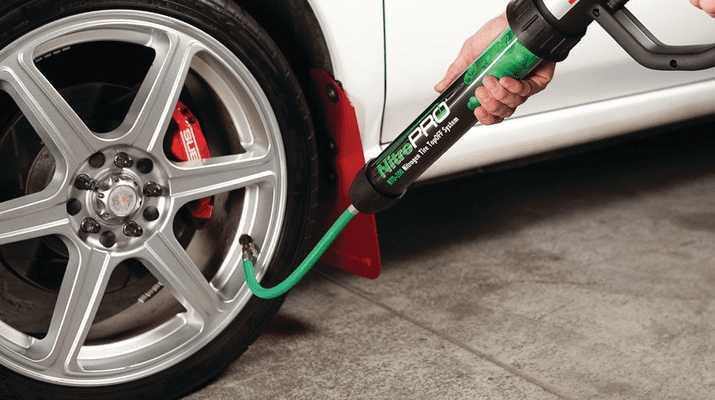 Many people prefer the use of nitrogen to fill tires, and find that it has many benefits. The nitrogen is less likely to move through the rubber of the tire, which can in turn keep the tire pressure more stable. Experts agree that nitrogen is more stable than oxygen, and it can be very worthwhile to use. 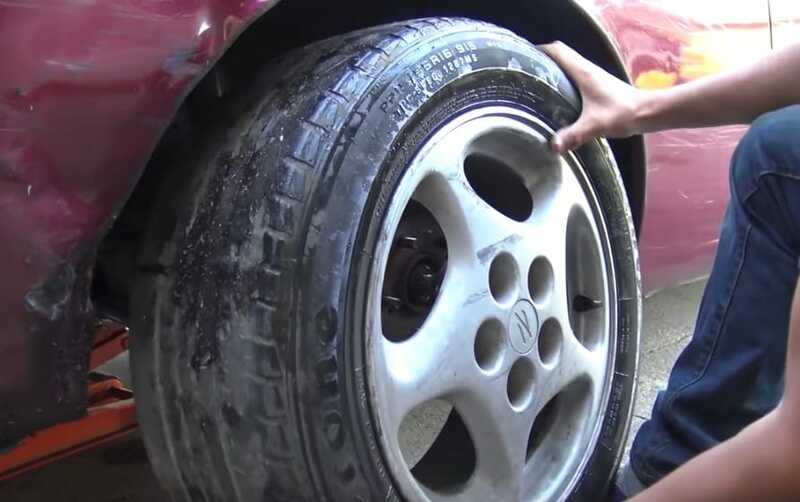 While nitrogen is a great option for people to use to fill their tires, some people feel that it’s just not worth the hassle. Sometimes when you are out driving you realize that the pressure in one of your tires is dangerously low and you need to refill it. 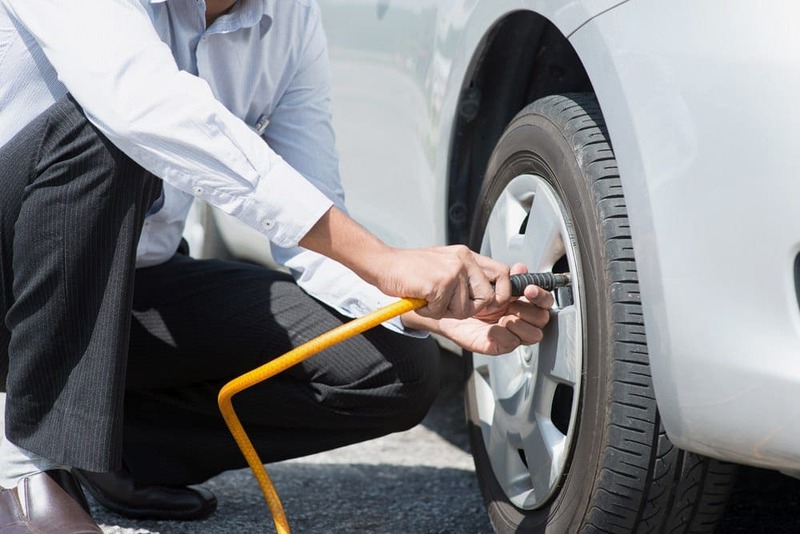 However, not every place has nitrogen readily available for tire refills, which can leave you needing to use air anyway. 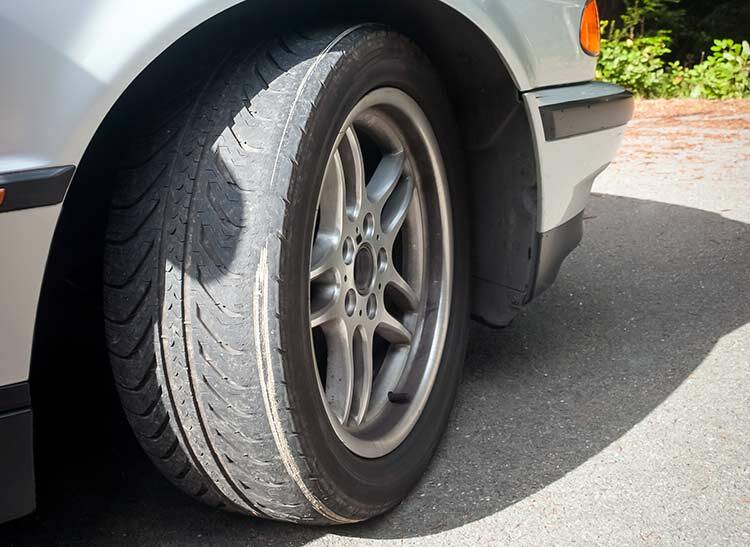 This can mean you might be mixing air and nitrogen together in your tire, so some people prefer to stick to air. What if you mix air and water? You might be wondering, if using air in tires works, and water can make the tires sturdier, why not do a mixture of air and water? Well, you might want to hold off on that idea because experts say it can be problematic. Because water expands faster than air when it gets heated, when mixed with the air it’s not always ideal. Experts warn that if some water accidentally gets in your tires you should remove it and make sure they are filled with plain old air.